Cristiano Busco was born March 26, 1972 in Terni. He is currently Full Professor of Accounting and Reporting both at the LUISS Guido Carli University in Rome and at the University of Roehampton London Business School. Before Joining LUISS, Cristiano served as Head of the Accounting and Finance disciplines and he was Head of the Performance Management cluster of Whitaker Research Institute for Innovation and Societal Change.After his PhD (management accounting) at the University of Manchester, UK, Cristiano has hold positions in US (Babson College, Boston, University of Southern California, Los Angeles), UK (Manchester Business School), and Italian universities (University of Siena).Cristiano has also earned a Master degree from the Manchester Business School, United Kingdom, and a Bachelor degree in Economics and Banking Sciences from the University of Siena.Cristiano research interests are in the field of management accounting, performance measurement and management, as well as integrated thinking and reporting. 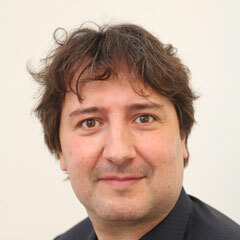 Cristiano has published articles in leading peer-reviewed journals such as Contemporary Accounting Research, Management Accounting Research, Journal of Management and Governance, Qualitative Research in Accounting and Management, Journal of Accounting and Change, Business Horizons as well as in professional journals such as the Journal of Corporate Accounting and Finance, Strategic Finance and Financial Management.Currently Cristiano is on the Editorial Board of the following peer-reviewed journals: Management Accounting Research, Qualitative Research in Accounting and Management, Journal of Accounting and Organizational Change.